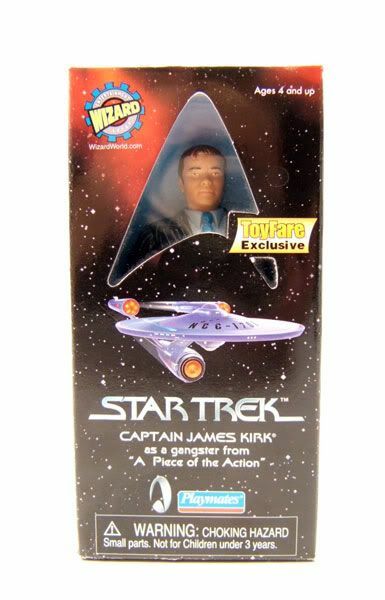 Kirk was released boxed as a Toyfare Exclusive. 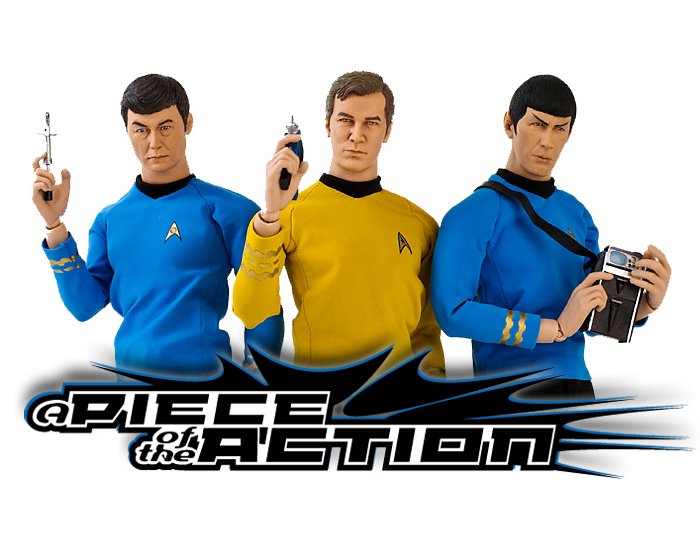 The Rundown: Toyfare got a few exclusive playmates Trek figures over the years. 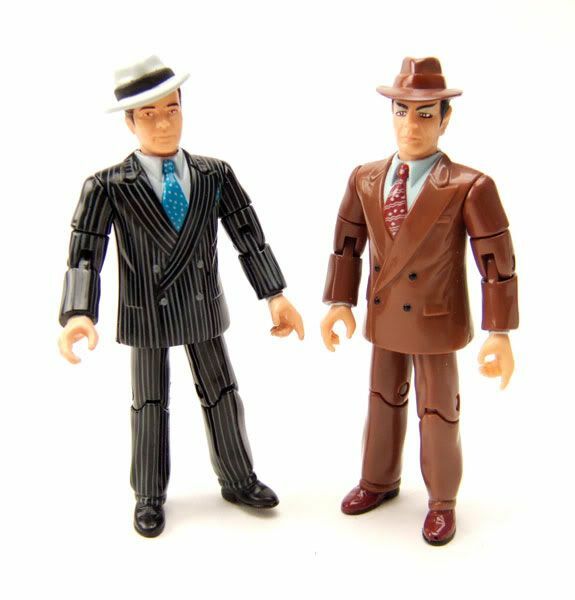 They usually consisted of simple head switches and repaints of existing bodies. 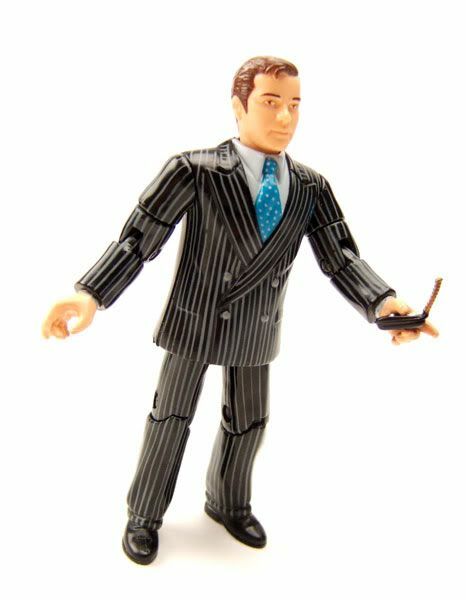 Kirk here features the standard Kirk head, and a repaint of the Dixon Hill suit body. 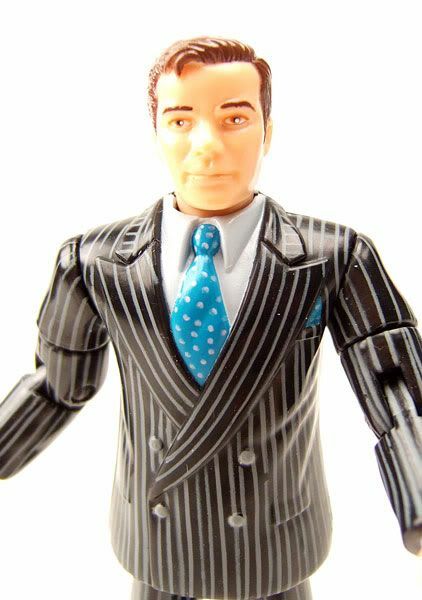 Again, Playmates did a solid job on the 'tough-to-capture' Shatner likeness. It's very good for the scale and the time. 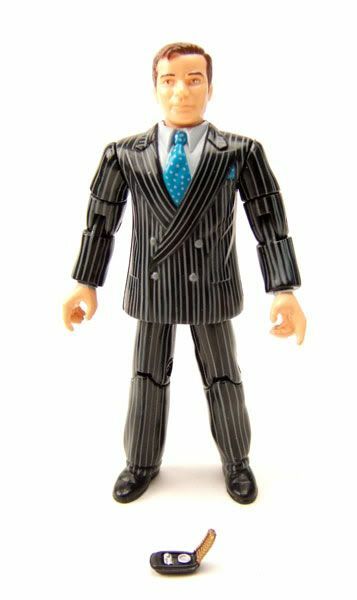 The body is nice too, but may be a wee bit on the thick side. I would have preferred that they had used the Data suit body, as it's a bit more realistically proportioned, but I'll take what I can get! Hey, little tip for ya! 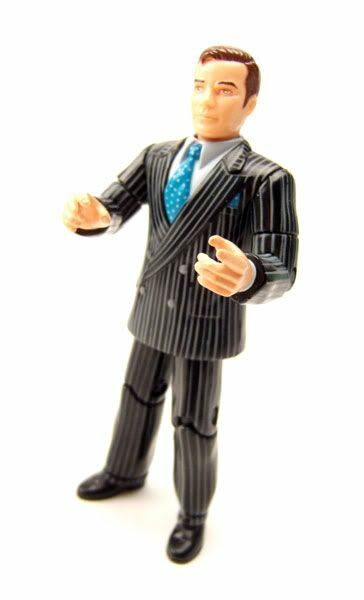 Kirk doesn't come with a hat, but that 40's attire Data does have a perfectly good one glued to his head! You'll have to work it off of there since it's glued on, but once you get it off, it makes a perfect hat for this Kirk. Hey, another tip! 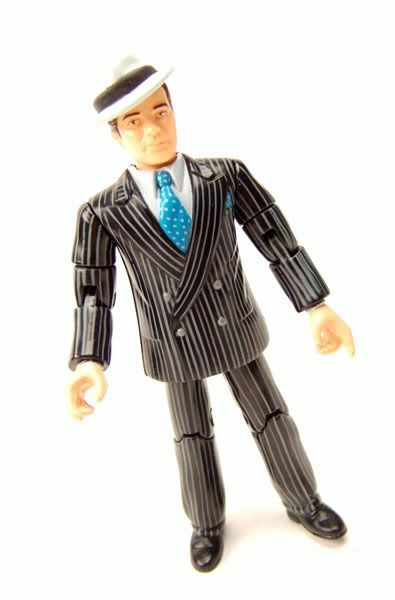 The Dixon Hill in the holodeck 3 pack is in a brown suit...throw a Spock head on there, do some cutting and dremeling on the hat/head and bam...you've got a pretty easy Spocko to throw with your Kirk!